﻿ Best Buy Canada Ltd.
Our corporate team consists of dedicated and passionate professionals who are committed to driving and supporting company growth from our Canadian Headquarters in Burnaby, B.C. The pace is fast and challenging, but we make time for fun too. Monthly interactive company forums, family fun days and BBQs are just some of the ways we get together. Whatever your discipline, the experience, creativity and enthusiasm you bring can play a vital role in the department of your choice and help Best Buy Canada continue its remarkable growth. Explore the opportunities available at our Headquarters today! At Best Buy Canada, we encourage people to be themselves, do their thing and grow to their full potential. We'll do everything we can to support you along the way. Our corporate culture has a strong foundation of respect, humility and integrity. We embrace uniqueness, while working together to achieve common goals. Our diversity is the common thread woven throughout our daily interactions with each other. 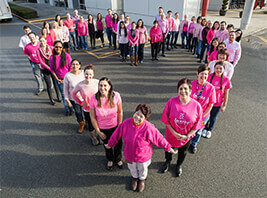 Giving back to our communities is a key part of our culture here at Best Buy Canada. As a company, we do this through our many initiatives that connect kids with technology to inspire, motivate, and empower their education. We are also proud to support and encourage our employees’ choice to donate or volunteer time in their community. 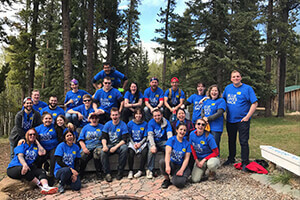 The Company matches employee donations made to registered Canadian charities and rewards employees with charitable dollars for every hour volunteered. The Best Buy School Tech Grant program exists to equip Canadian students with the right technology to keep them motivated as they learn and grow. Grants of up to $10,000 are available for Canadian public schools looking to upgrade their technology. Geek Squad Academy provides youth with hands-on access to the technology education and tools that they’ll need to be successful in their future schooling and careers. We partner with non-profit organizations and schools to teach students in a fun, interactive environment with classes conducted by Geek Squad Agents and Blue Shirts from local Best Buy stores. In partnership with Boys and Girls Clubs of Canada, we award scholarships to Club members to help with their post-secondary dreams. At the local level, our stores partner with Boys & Girls Clubs across the country and find ways to positively impact Club members. We understand that small, environmentally responsible changes can lead to huge benefits for everyone. Our extensive recycling program and transitions to sustainable practices like ePay and carbon neutral construction materials are just a few of the ways we're making a difference. For a link to the Best Buy Corporate Responsibility and Sustainability Report please click here.